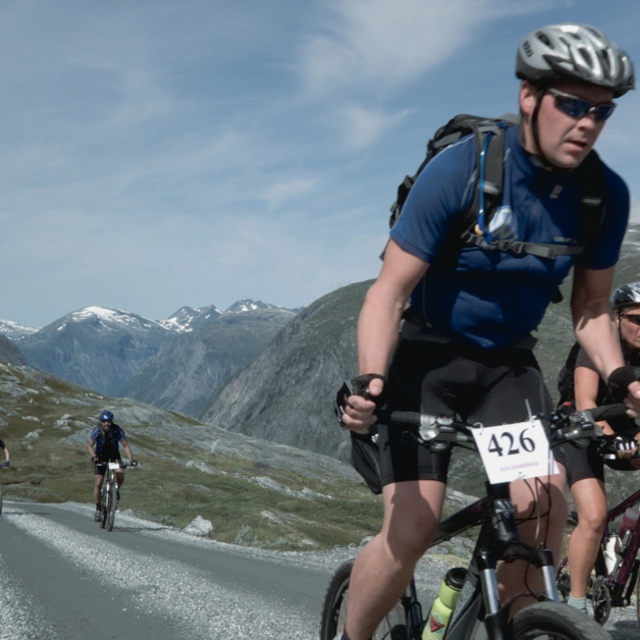 Kurt Asle Arvesen from Eresfjord in Nesset municipality is one of Norway's most well-known cyclists. In 1997, he became the U23 World Champion. The following year, he started competing professionally. He has been the manager of Team Sky, one of the world's best teams, and is currently the manager of the Norwegian Uno-X Hydrogen Development Team. “A unique experience in between the islands by the ocean, along the road that has been named the construction of the century in Norway. The ride can be combined with a round trip on the island of Averøya”, Kurt says. The Atlantic Road, which is one of Norway‘s national tourist routes, connects a number of islands through eight bridges. Apart from having a reputation as one of the most extraordinary road constructions in the world, it is also known as one of the best road cycling roads in the country. The Atlantic road covers 36 kilometres from Kårvåg to Bud. “Very tough and very rewarding. At the top, 858 metres above sea level, there is a great cafe and fabulous viewpoints. Enjoy the magnificent scenery and look forward to the descent on the way back”, is Kurt‘s view on one of Norway&apos;s biggest tourist attractions. The road winds its way up the mountain via 11 hairpin bends. At the top, you are 858 metres above sea level. Trollstigen is an overwhelming nature experience and has been a popular tourist attraction since it opened in 1936. “A 100 kilometre long round trip from Eidsvåg to Eresfjord-Åfarnes, Sølsneset, Ranvik and back to Eidsvåg. 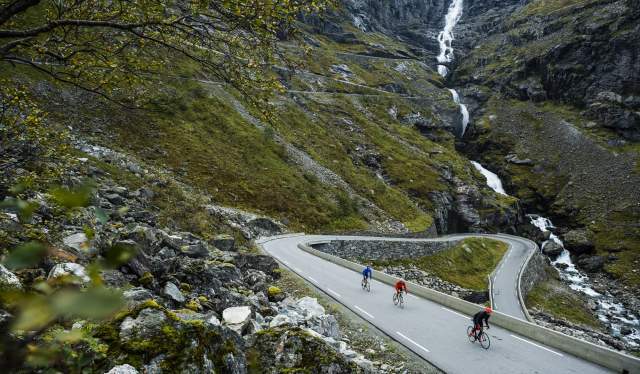 The tour includes a ferry trip to Sølsneset and a tough climb at Vistdalsheia.” Kurt recommends that you have a well-deserved coffee break with svele (a kind of thin pancake) on the ferry between Åfarnes and Sølsneset. 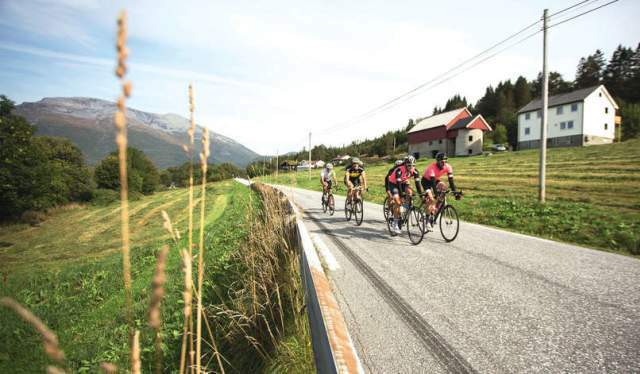 The tour is well-known among cyclists in Norway. Tør du prøve deg på denne turen?. This is a longer round trip from Eidsvåg via Eikesdal and Sunndal with both gravel roads and asphalt. There is a tough climb at Finnsetlia. “Bring a flashlight for the dark tunnel”, Kurt says about Aursjøveien. The part up Finnsetlia to Aursjøen is a real strength test, but it is nevertheless a very popular bike trip. The road evens out towards the Aursjødemningen. Here you will find the Aursjøhytta cabin, which is run by the DNT (the Norwegian Trekking Association). The cabin is manned during the summer season. “Start at the shop in Ålvundeid for a pleasant, easy 30 kilometre trip on asphalt and gravel to Innerdalshytta”, is Kurt Asles description of this trip. Just be prepared to conquer a few hills on the way! The Innerdalen valley, known as the gateway Trollheimen, is often referred to as Norway&apos;s most beautiful mountain valley. 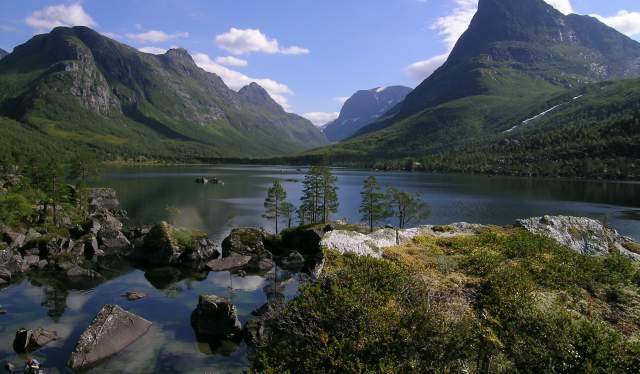 It is located in Sunndal, 10 kilometres from the town of Sunndalsøra, and can be accessed via Rv 70. Kristiansund has a stunning location, reaching out into the sea on the four islands of Innlandet, Kirkelandet, Nordlandet and Gomalandet.